On Mockingbird Hill is an account of the idealized lookout lifestyle made popular by Jack Karouac. It is also the story of a woman’s search for meaningful work. Kelly’s reflections look humorously on gender, and how sometimes, our lives mysteriously and briefly intersect with others, leaving an imprint and forcing us to look inward. Mary Kelly lives in the North Okanagan, a newcomer from Vancouver, BC. She writes narrative nonfiction and works as a part-time consultant in health and gender research. Her work has appeared in diverse publications from Event to The Journal of Integral Theory & Practice to The Dance Current. 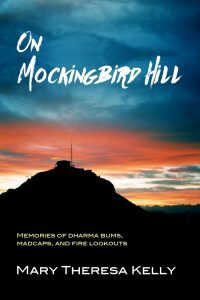 On Mockingbird Hill, published by Caitlin Press, is her first book. 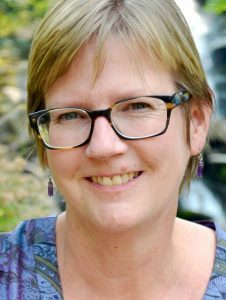 Mary Kelly’s book launch will be accompanied by a reading by Kalamalka Press Guest Author Anne DeGrace. 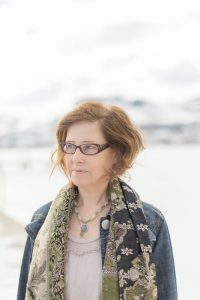 Anne DeGrace is a writer, illustrator, and librarian living near Nelson, British Columbia. She is the author of four novels, all published by McArthur & Company. She is now represented by Cormorant Books.